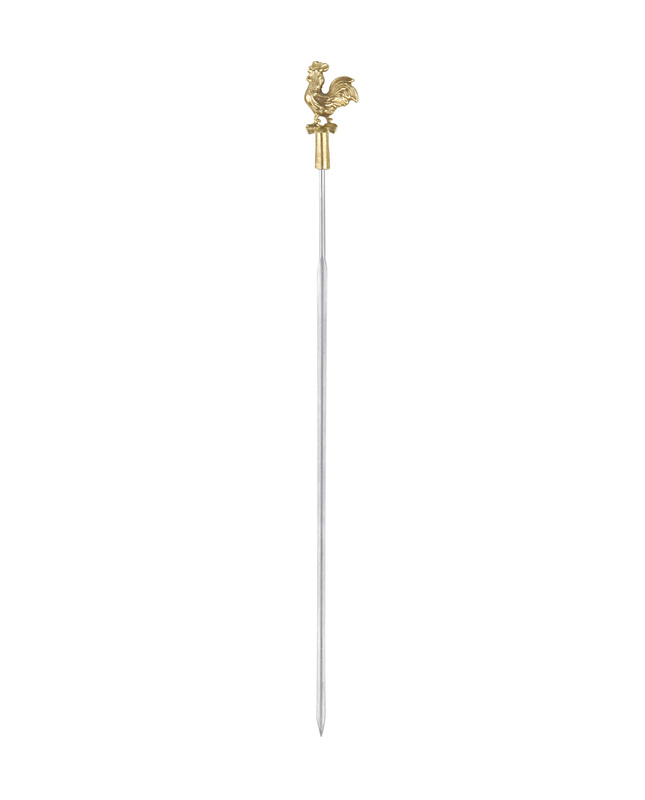 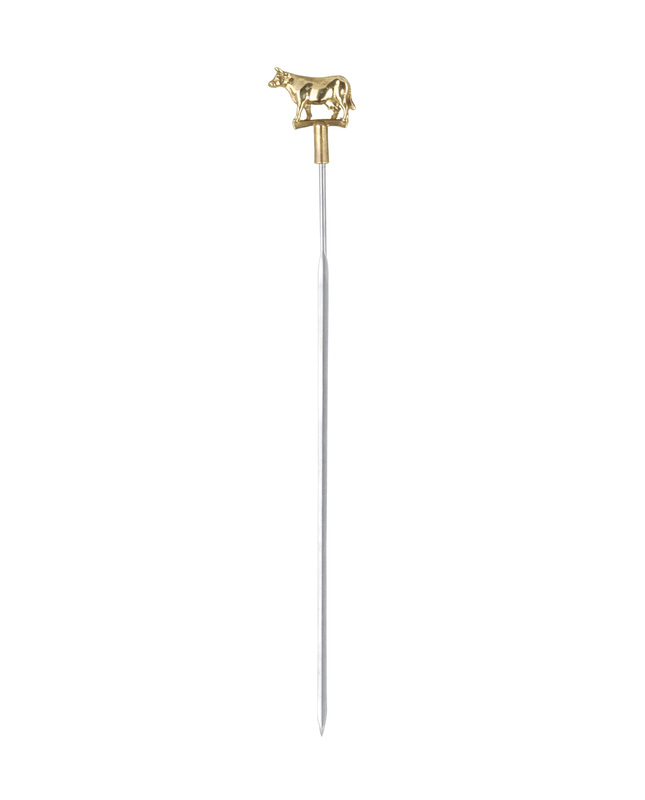 Extraordinary and unique set of stainless steel skewer with solid animal motif brass heads. 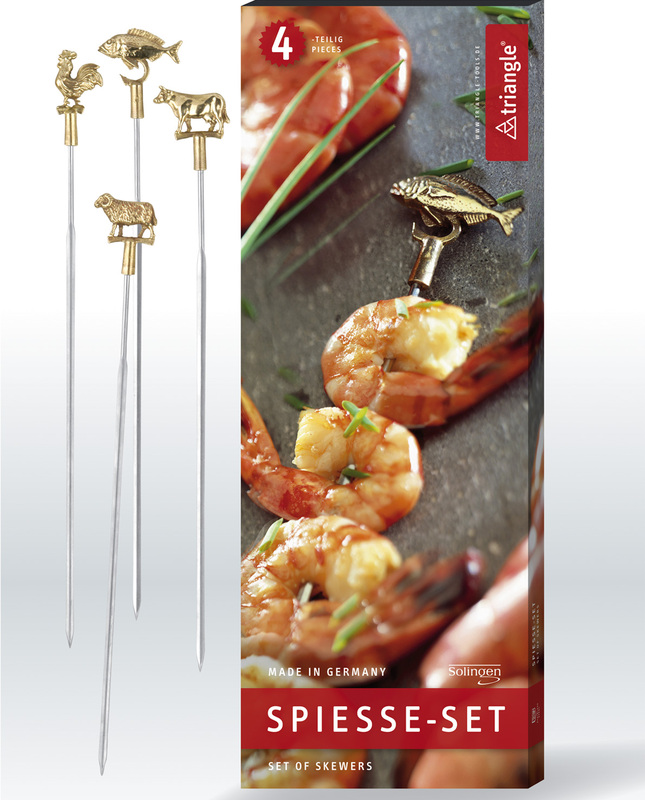 The set contains one skewer each with rooster, fish, ram and cattle motiv. 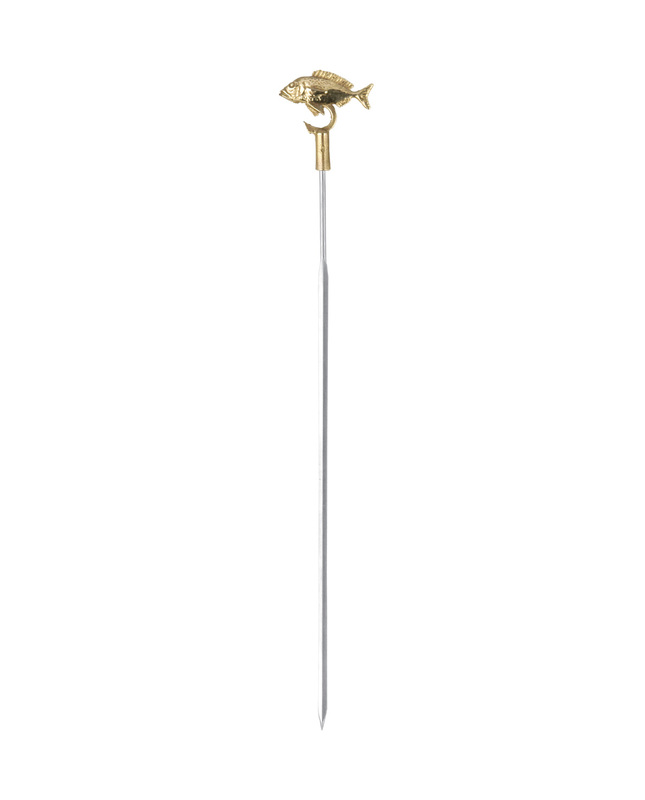 The carefully crafted skewers have a very sharp tip and a diamond-shaped cross section to facilitate skewering and to prevent the food from turning. The heads are made in an elaborate process by sand casting. 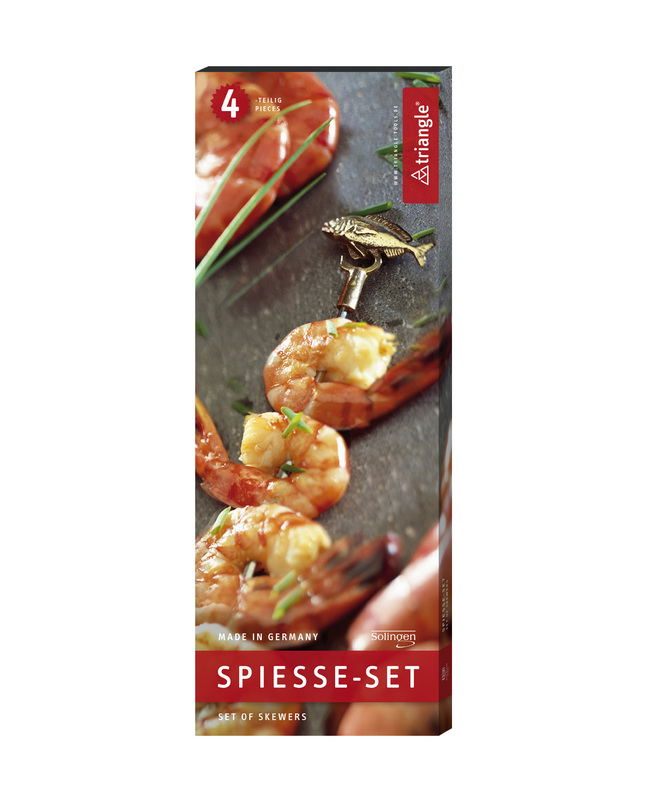 Available in various motifs and hand crafted in Solingen.